Bring your mother out for a creative afternoon. 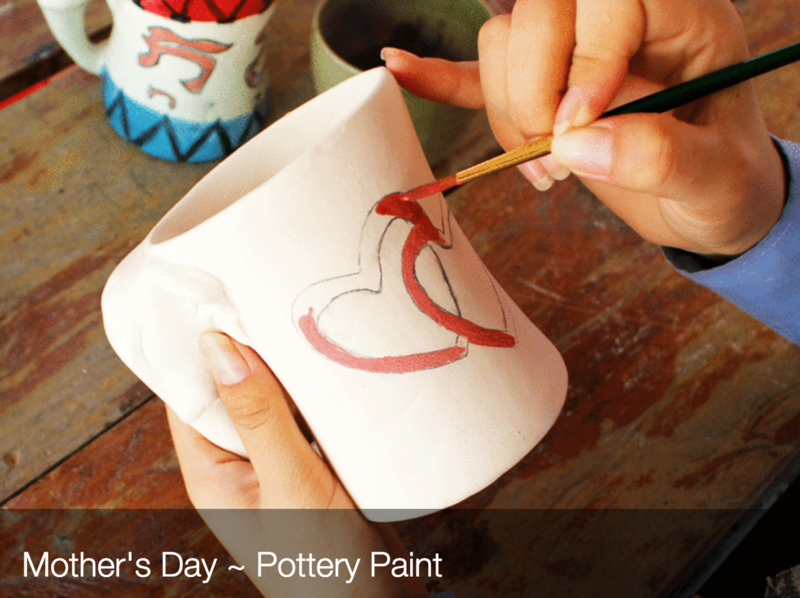 Make one-of-a kind pieces during this easy, fun and creative Ceramic Painting open studio. Tea or Coffee & Goodies also provided. The price of your pottery (see below) includes chosen piece, paints, design tools, staff assistance the clean-up, and of course the glazing & firing. All ages welcome. Advance registration required.